Herbert Resnicow (1920-1997) was a civil engineer, earning his degree at the Polytechnic Institute of Brooklyn, who made a drastic career move at the age of 60 – when his first detective novel, The Gold Solution (1983), landed him a nomination for an Edgar statuette in the category Best First Novel. Resnicow was unable to secure the coveted price, but the tone was set and he wrote a score of classically-styled whodunits in the succeeding decade, featuring the wise-cracking behemoths Alexander and Norma Gold or the entrepreneur Ed Bear and his philosopher son Warren, as well as outsourcing his talent to abet Edward I. Koch and Pelé with their literary aspirations. In spite of these accolades, Herbert Resnicow has evanesced from popular view and virtually nothing is known about his life – at least not online. 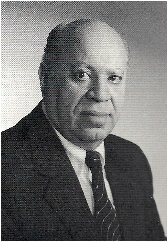 Nearly every scrap of personal information I have on him was culled from his obituary, which also mentioned that he served overseas with the Army Corps of Engineers during WWII and left behind a wife, four children and four grandchildren, but a synopsis or review of one his detective stories were even harder to find before I took up his cause. This makes me feel at times as if I'm the only who cares and appreciates this neglected, modern-day practitioner of the locked room mystery who did his part in continuing a fine old tradition that is worth preserving. Herbert Resnicow came into this world during the same year that the 1920s were born, which has a mark in my book indicating the dawning of the Golden Era of Detective Fiction, and when you look at the style, tone and characters that populate the Alexander and Norma Gold stories, it's simple to discern the type of mysteries Resnicow must have enjoyed reading during his lifetime – and perhaps even read when they were first published during the 1930-and 40s. The novels that have the Golden Pair at their helm are archetypical mysteries of the Van Dine-Queen School of Detection, slightly updated and resettled in the 1980s, but nonetheless feel as the genuine thing. 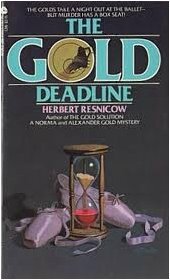 In my review of The Gold Deadline (1984), I remarked that Alexander and Norma could've been conceived after splicing and stitching together the genetic materials of Nero Wolfe and Archie Goodwin with those of Jeff and Haila Troy, but that's not an entirely fair assessment of their characters. The resemblances are merely superficial and a closer inspection will reveal a set of characters that are defined by their own personalities. Alexander Gold is a physical and intellectual heavyweight on the rebound after a near fatal brush with death, but he feels that his recovery is stagnating his massive intellect until one of his friends, a high profile criminal lawyer, who sort-of plays the John Markham to his Philo Vance, proposes that he solves complex, seemingly insoluble problems from the comfort of his armchair – with his quick-witted, Amazonian wife doing the necessary leg-work and inducing witnesses and suspects to subject themselves to one of Alexander's cross-examinations. While this may come across as a rip-off of Nero Wolfe and Archie Goodwin, spiffed up as one of those facetious husband-and-wife detecting teams with a penchant for risible banter and bouncing affectionate insults off each other, it's a resemblance that is merely familial rather than the result of cloning. But you have get to know them yourselves to see how much they really differ from Wolfe and Goodwin. The characterization of Ed Bear and his son Warren, who find themselves forced by circumstances, rather than by boredom or the prospect of a large fee, to don a pair of deerstalker in The Dead Room (1987) and The Hot Place (1990), were done on a more serious and sober note – and their cases are less jocular in tone than those taken on by Alexander and Norma. The sobering effect in these stories is the developing relationship between father and son, which needed maintenance after the unexpected passing of their wife and mother, but this never casts a grim shadow over their personalities or the plot. This also gives it a surprising touch of realism, because the situation is handled in the same way a reasonably normal and average family, with all their faults and imperfection, would deal with such situation and in spite having lost the most important person in their life they found themselves trust back into their everyday life – which is what usually happens in real life. The situation they find themselves in is in a way very similar to that of Ellery and Richard Queen, but their relationship was never explored like this and that makes the Bear's a more interesting and rounded set of characters than the Queen's. However, it's not just the detectives that inhabit these stories that reflect the American detective story of the 1940s, but also the backdrops of their investigation – which either gives you an inside tour of an institution or have cultural backgrounds. The Gold Solution is an in-depth look at a New York architectural bureau and The Dead Room takes a peek at the inner-workings of a company that produces audio equipment, while The Gold Deadline and The Gold Curse (1986) reflect a genuine love for the theatre and performance arts, which he confessed to in his preface of The Gold Deadline, and the people the Gold's or the Bear's have to deal with are usually professionals, enthusiasts or intellectuals – staples of the Van Dine School. These "behind-the-scene" looks are often as fascinating as the plot itself and in the instance of The Gold Solution, which had a conclusion that left me a bit under whelmed, it even saved the story for me. The solutions of these mysteries also often hinge on how the crimes were committed, but I will come back on that when I discuss the locked room mysteries. Formula is perhaps the wrong word, but Resnicow undeniable drew up a blueprint for his detective stories and constructed the bare outlines according to the instructions on this drawing. However, this does not mean that one book is identical to another, but more a repetition of certain writing techniques – most notable in the way he introduces and fleshes out the personalities of the victims (who are seldom the recipients of this readers sympathy). The fatalities are always introduced as if they are faceless props in a murder play, but their exit is quickly followed-up with a meticulously detailed account of their life, either in a written report or during a verbal interview, which often feel as a short story within a novel – and the best of these can be found in The Gold Solution and The Gold Deadline. This psychological analysis and in-depth look at a character's personality is another element that can be found in detective stories whose authors attended classes at the Van Dine School. When Herbert Resnicow exchanged his drafting pencil for a typewriter (or an early PC), he brought with him over forty years of experience and knowledge of construction and engineering – and this is reflected in his unique approach to the locked room problem. The closed environments constructed by Herbert Resnicow are not confined to hermitically sealed studies, bolted bathrooms or inaccessible towers, but revolve around entire floors or even an entire building – fully three dimensional spaces where characters move freely from one floor, room or spot to another. Yes, I know what you think, but rest assured hat I'm aware of the difference between an impossible crime and a closed circle of suspect's situation. These stories are full-fledged locked room mysteries, but with a completely different and often very satisfying spin on them. This is also what makes Herbert Resnicow more than just a mere throwback to the glory days of the detective story. He not only picked up the threads of tradition, but also weaved new patterns with it. 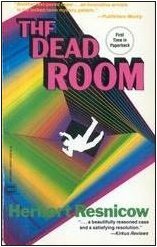 The murder in The Dead Room, for example, is committed in a watched, dim and multi-level archaic chamber, designated for acoustic testing and experimentation, and offers a one-of-a-kind solution that is custom made to the interior and situation of that echoless room. The crime-scene in The Gold Solution is an entire top-floor apartment, designed as a tightly sealed fortress, while The Gold Curse stages it murder during a performance of Rigoletto, turning the entire podium in a open sealed room under constant observation, but his most daring and ingenious locked room trick can be found in The Gold Deadline. A locked and guarded theatre box may seem claustrophobic in comparison with the other closed-off spaces, but the way in which Resnicow employs the entire building is simply marvelous and even logically explains why anyone would go to such insane and risky lengths to create the illusion of an impossible murder. Its solution is also unique and tailor made to fit the setting and circumstances in which the murder was committed! When it comes to drafting and constructing a locked room, Herbert Resnicow was one of the greatest architects in the genre, with a touch madness not entirely uncommon in geniuses, and I think John Dickson Carr would've been delighted that his beloved locked rooms were carried into the 1990s by a such a talented and expert craftsman. 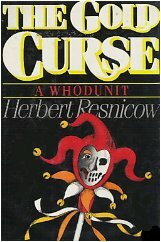 However, I don't think that Herbert Resnicow's legacy is that of a locked room artisan, but that of a risible mystery writer of logic who conclusively demonstrated that entertainment can be both lighthearted and intellectual stimulating as well as proving that there's always a place on the printed page for Great Detectives – no matter what era is we live in. 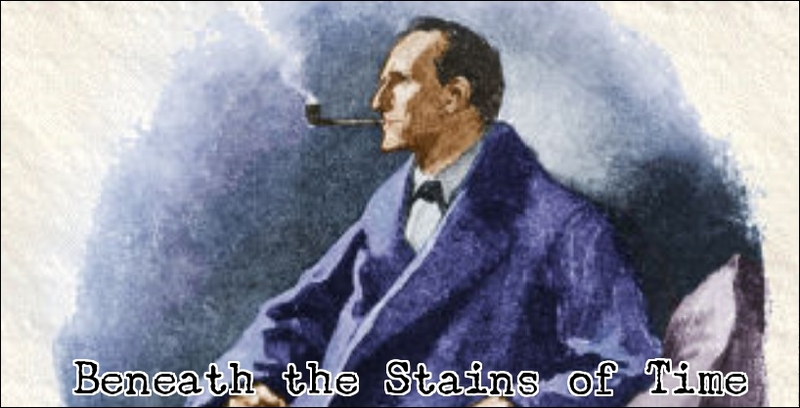 Why he's all but forgotten today, even by my fellow mystery aficionados, is beyond me and a mystery that may remain unsolved, however, I will continue to beat his drum and I just hope my little scribbles will do his name and work justice. Note: I have not yet to read any of his Crossword Mysteries or collaborative efforts, but expect reviews of The Gold Frame (1986) and The Gold Gamble (1989) to turn up before the end of the year. As a matter of fact, I have already begun in The Gold Frame and it's shaping up to be another excellent read – set at a museum and involving paintings from an old Dutch masters! Thanks, Patrick! I just hope that this will nudge a few people in the direction of his books. I've personally kept clear so you can have first crack at them. A really excellent and detailed post TomCat, congrats. I remember him being quite popular in Italy in the 1980s but I must admit, I was a bit put off by some of his celebrity 'collaborations' - by which I mean the idea of them, not the books, which I did not read. I can;t imagine anyone reading your post and not wanting to dash off and get a Resnicow right away, though you did throw me a bit initially by using the word 'risible', which conversationally I only tend to use in a negative or pejorative sense - but obviously the guy was funny! Thanks again for the great insight and elucidation - it's greatly appreciated. Thanks for the interesting overview. I might have to look for one of his books and try it out. Too bad he didn't write more books. Monte, you should definitely sample some of his work, I recommend starting with either The Dead Room or The Gold Deadline, and he he did wrote more books! There's also a Crossword Puzzle series, starring a sleuth named Giles Sullivan, and a slew of celebrity collaborations, but I have no idea how much these differ from his two main series or how good or bad they are. But that's something for next year. TomCat, I can't tell you what a delight it was to read this page. I'm Herb Resnicow's youngest daughter, and I'd be delighted to answer any questions I can. Herb Resnicow was a polymath, quite a character, who when often asked “how did you know THAT?”, would say: “From reading detective novels.” He loved science, so the mystery writer “genetic” connection he discovered late in life was a special treat. His long-lost cousin was Carolyn Heilbrun a/k/a Amanda Cross. To top this off, her maiden name (from Herb’s uncle) was Gold (though Herb said his protagonist’s name Alexander Gold had another derivation). As Herb’s eldest son Norman (whence Herb’s protagonist’s wife Norma Gold? ), I can confirm the family feels thrilled and vindicated by TomCat’s generous and thoughtful festschrift. We always knew Dad was a genius. He did so many things, and so well. Though it didn’t translate into fame or money, he basked in the doing. Thanks TomCat, thanks Dad. I've only ever read Murder Across and Down by Herbert Resnicow. I read the paperback as a kid in the early 80s. It was my first introduction into thriller murder mysteries. I only stumbled upon this page as I was trying to find another copy of that book. If anyone has any ideas where to find it, please let me know. Back off everyone, they're professionals!